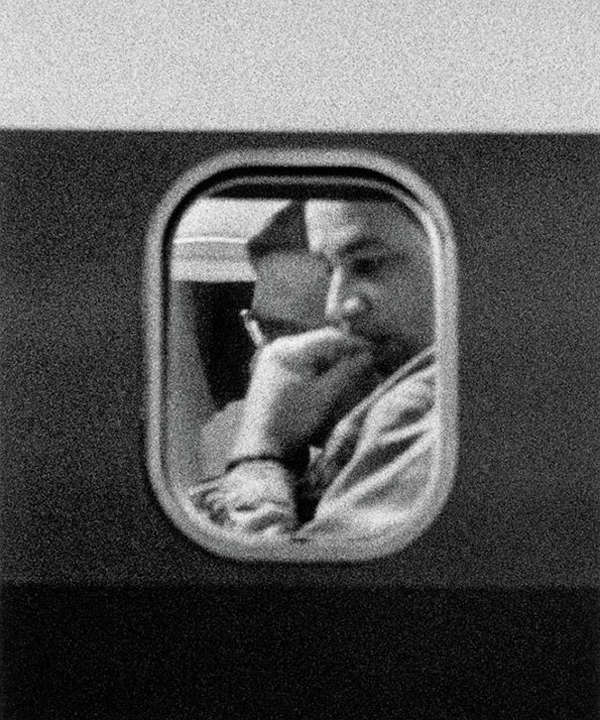 “Passengers”, is a book by John Schabel, the New York based photographer, featuring the voyeuristic portraiture project of anonymous airplane passengers. 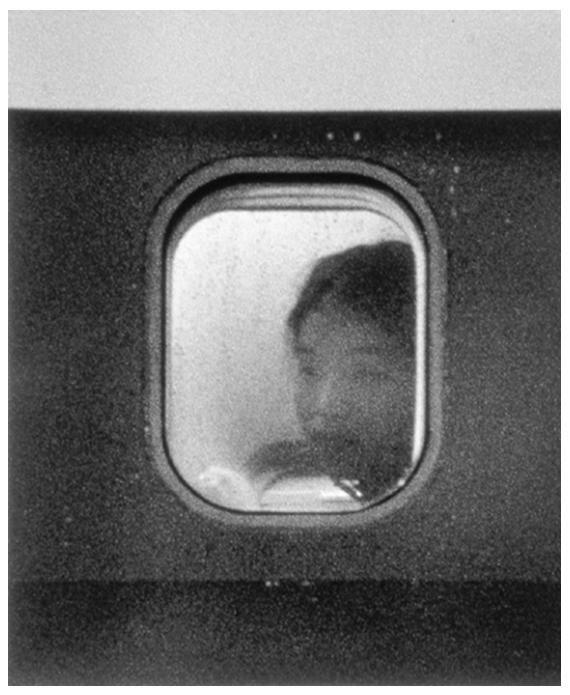 The portraits were taken in the mid-90s without the passenger’s permission using a zoom lens. 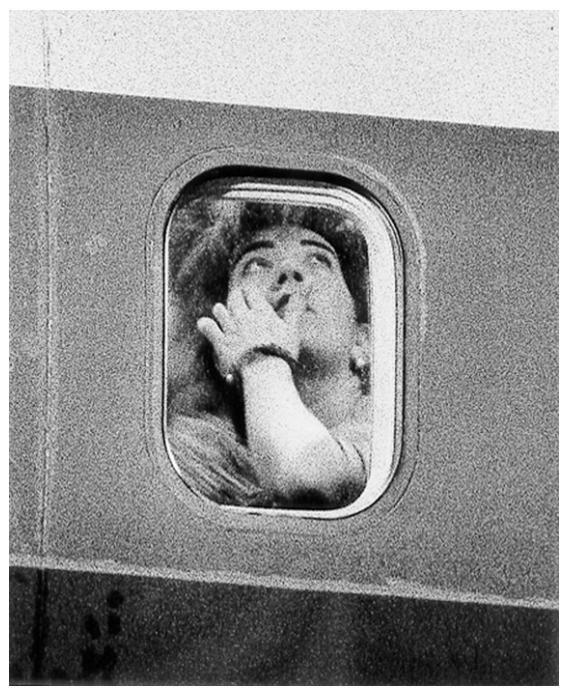 Through the small windows of the plane, Schabel’s grainy, melancholy black and white photographs depict people entirely wrapped up in their own thoughts and emotions before takeoff.